Like these alerts? Click here to subscribe. Or, download the RiseUp app and never miss an action. Here we go–another incredibly busy week in Colorado politics! We’ve got a huge list of action alerts and event opportunities for you to be aware of this week, so let’s not waste any time. Remember as always to check the RiseUp app on your smartphone to stay current on all of the opportunities to engage at the Capitol from anywhere. Make your voice heard at the Colorado State Capitol. 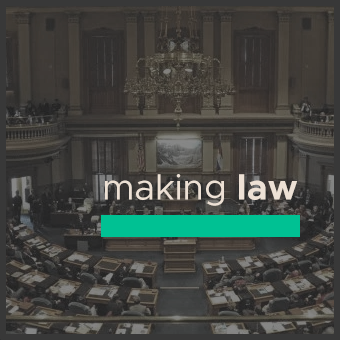 Speaking of getting involved in the Capitol, here are a few important bills pending before the Colorado General Assembly that you have the chance to testify on in legislative hearings this week! Email jumoke@progressnowcolorado.org for more information, or just head down ready to speak for 2-3 minutes. On Tuesday morning upon adjournment of the House in LSB-A across from the Capitol, help SUPPORT legislation to make rental housing in Colorado more affordable. House Bill 19-1106 will prohibit landlords from profiteering off application fees charged to prospective renters. On Wednesday at 1:30pm in HCR 0107, SUPPORT common-sense legislation to help transgender Coloradans keep their identity documents up to date with dignity. House Bill 19-1039 updates procedures for birth certificates and name changes. On Thursday in the House Education Committee at 1:30pm, SUPPORT legislation to increase the number of social workers available to children in Colorado public schools between kindergarten and fifth grade. House Bill 19-1017 sets up a pilot program to study having school social worker support for each of these six primary grade levels. On Thursday in the Senate Education Committee at 1:30pm, SUPPORT a bill to tighten regulations on student lenders. Senate Bill 19-002 requires student lenders to be licensed via the Uniform Consumer Credit Code and a new position to help student borrowers. Have you signed the petition to support Mesa Verde National Park? Click here to help the Mesa Verde Foundation introduce a bill to create a Mesa Verde Colorado license plate to raise funds and awareness for Colorado’s greatest archaeological treasure. If you’ve already signed, thank you! Please tell your friends and encourage them to sign right away. For the 10th year in a row, AFSC will deliver handmade valentines to detention center detainees and day laborers. People who could use extra love right now. We consider this a meditation. Make something beautiful for someone separated from loved ones, separated by borders and distance or by walls. We assert that our Love knows No Borders, No Walls. Community connections are vital to creating a better future for every Denver resident. Be a giver by investing in a supported and connected future for every person in need.We want your stories, experiences, challenges and passion for in-kind giving in Denver. Join us as Denver’s Road Home hosts a summit for community-based organizations, individuals, neighborhoods, city agencies, and other stakeholders to improve coordination and collaboration to better serve our community. We’ll have a day of presentations and discussions, and lunch will be served. Join us in celebrating poet & educator, Yosimar Reyes a voice that shines light on the issues affecting queer immigrants in the U.S. and throughout the world. The event will feature art displays, performances, a keynote address by Yosimar, and in the afternoon a screening of the film “Five Dreamers”. Faithful Tuesdays is a diverse coalition of leaders, organizations and community members who are committed to adding a deeper, moral dimension to the public policymaking process in Colorado. Our focus is to advance a faith narrative and collaborative process that supports a just economy, promotes equity, and eradicates racism in Colorado. Our work will forward a unifying narrative uplifting our common faith call to build human dignity in our state. Join us for our legislative committee meetings for the Colorado 2019 Legislative Session. Members and representatives of organizational members are invited. At these meetings we learn about legislation introduced and coming, as well as vote on our positions on them (members vote). Grab some friends and write a letter to Governor Polis (physical letters, not email) telling him to do the right thing and deny jurisdiction over the negotiations between DCTA and DPS. Drop them off to DCTA or scan and email to ahowe@coloradoea.org by Tuesday, Feb 5th at 5pm. We will deliver to the Capitol on Wednesday at 4:30pm, holding a brief press conference on the west steps. This action will be canceled if Governor Polis does the right thing and supports educators’ right to strike. The Secretary of State plays an extremely important role in Colorado government. From overseeing elections, to maintaining the statewide voter registration file, to administering campaign finance laws, this elected official is tasked with protecting and preserving democracy. Our newly-elected Secretary of State Jena Griswold ran on a platform of ending dark money spending in political campaigns, expanding access to the ballot, and ensuring accessible and secure elections. Join us to learn more about One Colorado’s mission and ways you can support LGBTQ Coloradans and their families. We are very excited to announce that on January 28th, Colorado Jobs With Justice will be bringing on a new Executive Director, Pamela Reséndiz! We cannot wait for Pamela to join our staff and to watch their leadership shine in the community. We hope you will join us in giving them a very warm welcome! Social Media for Journalists: Use it, or Lose it? Hear 9News morning anchor Gary Shapiro explain why he said goodbye to Twitter because of the vitriol he suffered; but also listen as CBS Denver reporter Matt Kroschel explains why he believes social media is necessary for news people to stay informed and connect with the community. Sports reporter Nicki Jhabvala, a woman who covers the Denver Broncos with a Twitter following of 33k, will bring her unique perspective to the group. And Sara Grant, the creator and editor of The Denver Post’s Entertainment Site, the Know, will talk about how social media informs newsroom strategy in the digital age. Metro State Sociology Professor Samuel Jay will chime in too, as to the psychology of these platforms. Join us for a meet and greet with our lovely community and initiate the first steps in planning the 2019 MFOL! This event is for all of us to reflect on our accomplishments of 2018, our goals of 2019, and to tell victims and survivors that we still have their backs. If you can, please bring a dish or snack to share. Your time is so valuable to the organization and we hope to see you all there. Last December, DCTA and the Colorado IAF brought together 400 teachers, parents and students at the Montbello Campus to seek fair pay for teachers, to stop school experimentation, to support students’ social and emotional needs, and to provide resources for English-language learners. Five elected officials and the district superintendent were present. Today, the community braces for a strike after district officials failed to properly invest in educators. It is clear that community leaders must build a much broader, more diverse and more powerful constituency that supports their schools so their voices are no longer ignored. Come learn essential organizing skills and strategies to build capacity for the long run. $15 for DIA Canvass Kickoff! We are less than 90 days away from the first votes being cast in the May 7 Denver municipal election. Join us as we start going door to door asking voters to support our ballot measure and make a $15 minimum wage a reality for thousands of Denver airport workers. In this meeting we will examine ourselves and our culture and ask, how do we produce a mass shooter? Why are they, more often than not, white males? What can we do? How can we protect our communities? Please join for this critical conversation, in this moment, where the nation is not enduring mourning and reactive politics. We are honored to have our new Sherriff, Tyler Brown as speaker along with speakers from Aurora Mental Health, Aurora Police, and Moms Demand Action. Meet up with your Indivisible comrades to learn about what is going on in the state legislature, online privacy, how to help get the Right to Survive legislation passed, updates on citizen oversight of law enforcement, and how you can get involved in all of these issues! Araceli Velasquez, the Metro Denver Sanctuary Coalition and TPS Alliance / Alianza TPS invite you to walk in solidarity and let decision makers know we want justice and permanent residency for our families! Our lives, and those of government workers, are not for sale. Join families, workers, allies, DACA recipients and TPS holders of all 13 nationalities, in a local action in support to the mobilization in Washington D.C. and demand congress pass paths to status as well as reject any additional funding for a border wall, border militarization or ICE. Thanks again! We’ll see you next week.